"Our prehistoric fathers may have been savages, but they were clever and observant ones ... the art and practice of the brewer are founded on empirical observation ... the brewer learnt from long experience the conditions not the reasons for success"
John Tyndall FRS, extract from his speech on Fermentation, Glasgow Science Lectures Association, October 19th 1876. Before Louis Pasteur's investigation into fermentation the whole process was a complete mystery. It was considered to be part of the "Spontaneous Generation of Life", a supernatural, magical, mystical or even divine creation. This is why one mediaeval name for it was "Godisgoode", a demonstration of God's bounty and munificence. John Tyndall continued Pasteur's work into fermentation and helped to demolish the myth of spontaneous generation by demonstrating that micro-organisms can be carried by air-borne dust, and cause all kinds of fermentations and cultures. 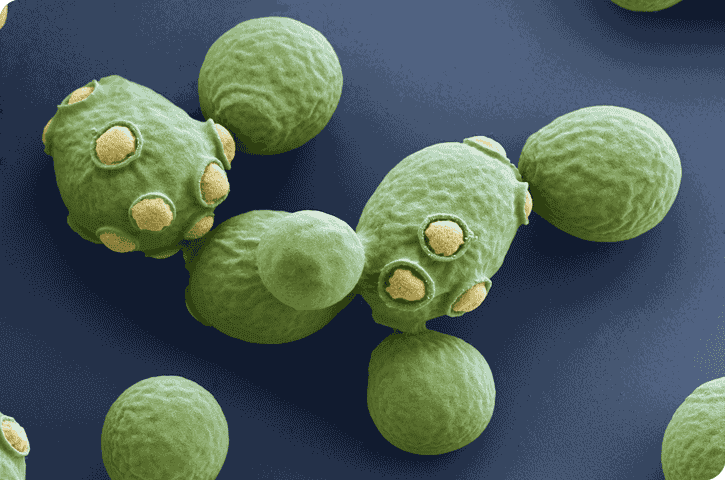 We now know that beer yeast is the microorganism, saccharomyces cerevisiae, a one celled fungus that feeds on simple sugars. In the presence of oxygen yeast can replicate rapidly through budding, turning the sugars into water and carbon dioxide, through respiration. It can double in 2 hours at 30 degrees Centigrade. In the absence of oxygen it cannot replicate, but it can metabolise the sugars into alcohol and carbon dioxide. It isn't really happy with high alcohol concentrations and this limits production to about 10-12% alcohol. 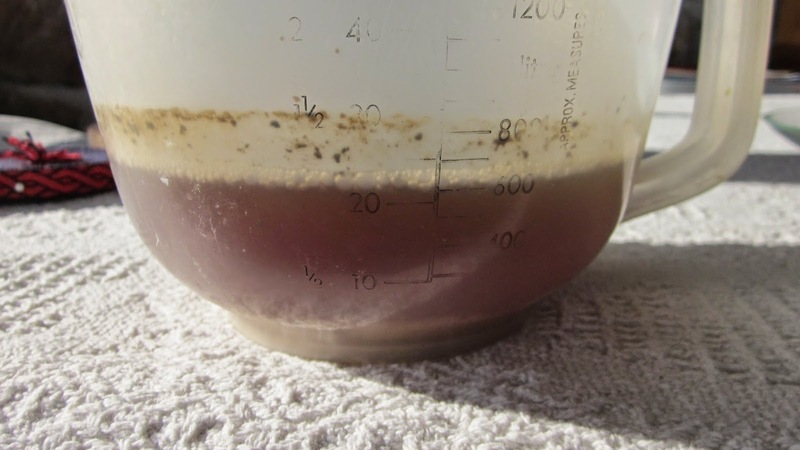 Brewer's top fermenting yeast seems to work best, both aerobic and anaerobic, at between 15C to 25C, but it doesn't like varying temperatures and will lose condition quickly if subject to heating cycles. It generates quite a lot of heat whilst working. I can sustain a good ferment of 10 gallons at ambient temperatures as low as 5C by insulating it with a couple of sleeping bags. Under stress such as drying it can sporulate, and the spores can become wind-born by dust and insects. Barm is the word used to describe brewing yeast in it's active replicating state. The cells stick to the CO2 bubbles in the ferment and rise to the surface (top fermenting brewers yeasts) and form a foam. This is the Barm. Bread makers use this to leaven their doughs. Nowadays brewing yeasts and bread making yeasts differ, though in the past they were the same. Barm in the brewing buckets. This foam of yeast cells, Barm, can grow into impressive towers of rafts, and a vigorous ferment will need significant head space, or spillage will occur. This is how a beer brew looks after a day or two. 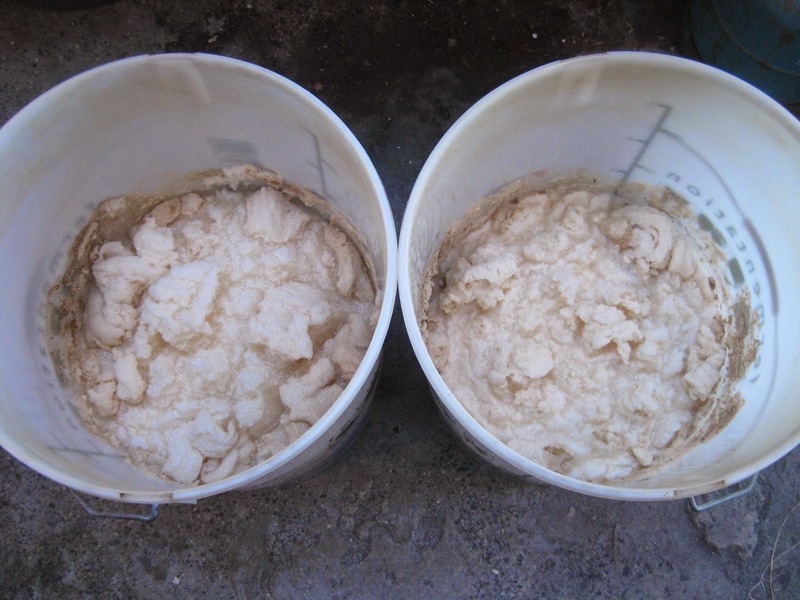 It is at this point that the Barm can be harvested, by skimming the foam off and storing the liquid in a container. Harvested barm can remain viable for up to two weeks if it is kept cool and free from dust. Before the invention of refrigeration, a well could be used to store the barm in a warm climate. Brewers are paranoid about infection by a wild yeast strain or other micro-organisms, so they prefer to start a brew by inoculating the warm wort with a proven viable yeast culture, the starter. 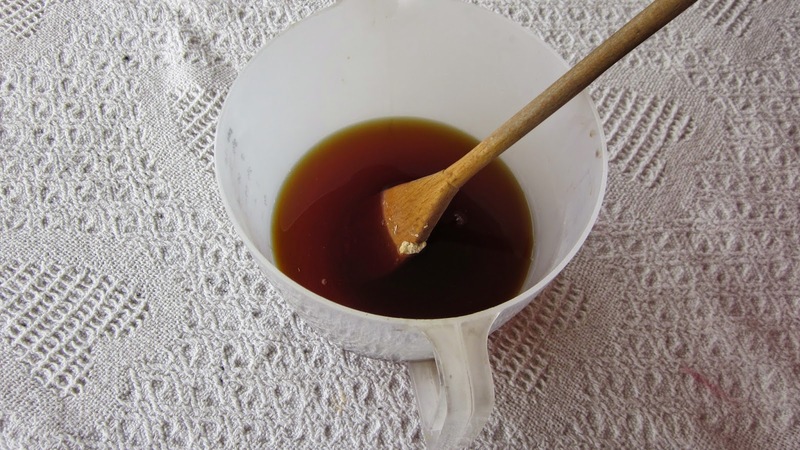 The starter is made by adding stored barm, or a dried yeast to a small amount of warm wort. 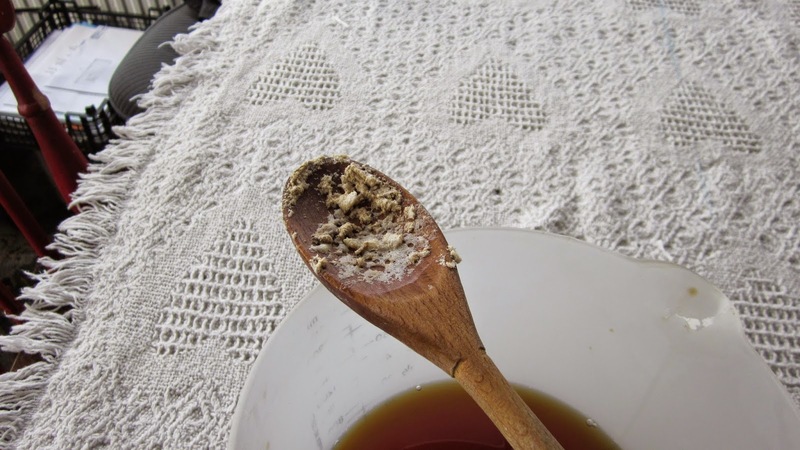 Nowadays dried yeast can be bought, but there are traditional methods. A good starter for pitching on the wort. A Nordic and Hebridean tradition is to stir the barmy brew with a stick or wand, and to leave this to dry, hanging in a dry place. I've tried this and it works well. Could this be the origin of the magic witches wand? Harvesting Barm on a spoon. After 32 hours at 20C. After 48 hours at 20C. After 48 hours from the side. After 24 hours from the inoculation I was disappointed. Nothing seemed to be happening at all, but by 48 hours a healthy culture was established, fit for pitching. After four days, primary fermentation is complete. 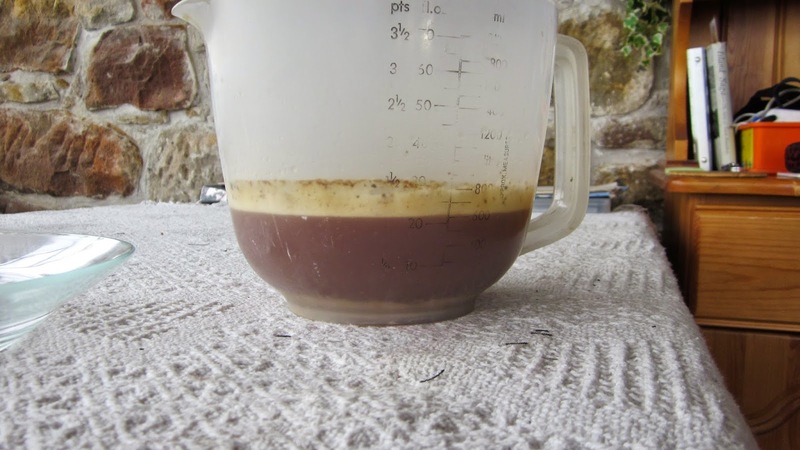 It is this rapid initial doubling under favourable conditions that can make even a small amount of the right yeast into a viable starter for a pitching a good ferment. From the moment I first started grain beer brewing I used commercial packets of dried brewers yeast. I was often disappointed by the slow or even non-existent activation for the starter. Maybe I should have been more patient, like with the spoon, but then I would have to make the starter a day or two before the wort. Eventually I found brewing supplier who packed their own yeast which set off vigorously in the starter, giving a viable pitch in half to one hour. I quite liked the fruity and sometimes even buttery flavours. When we moved from Manchester to Orkney I had the same problem with packet yeasts, so I had the supplier post yeast up to me. One day when I was struggling to learn how to make bread with a machine, I realised that the yeast I had become so fond of looked indistinguishable from the bakers yeast. I now use baker's bread making yeast. "Real Ale" brewer's yeast from a packet, left, and Baker's yeast from a tin, right. 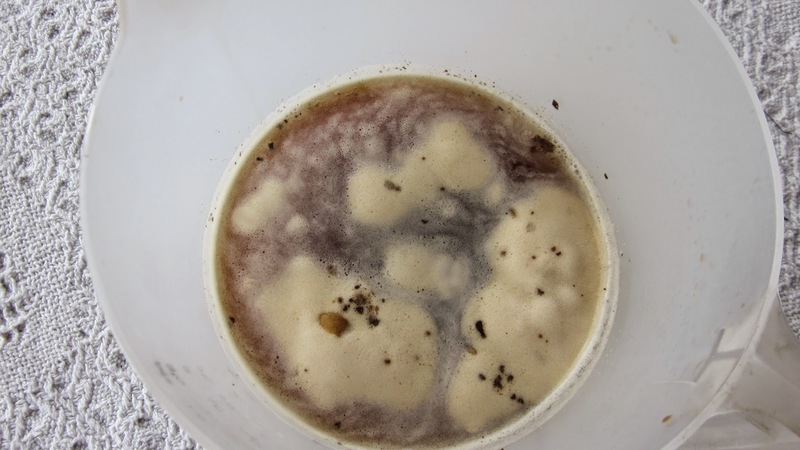 Many breweries are very particular about their own yeasts and indeed a lot of the flavour of the beer does indeed come from the yeasts action. 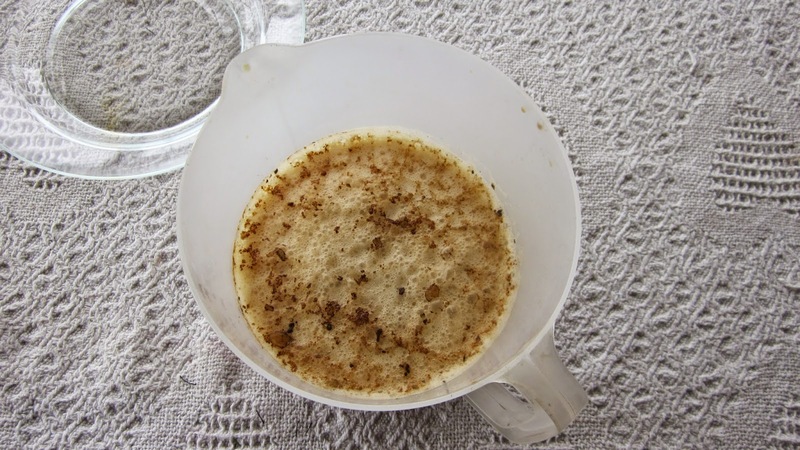 Some traditional recipes actually call for bakers yeast to be used. 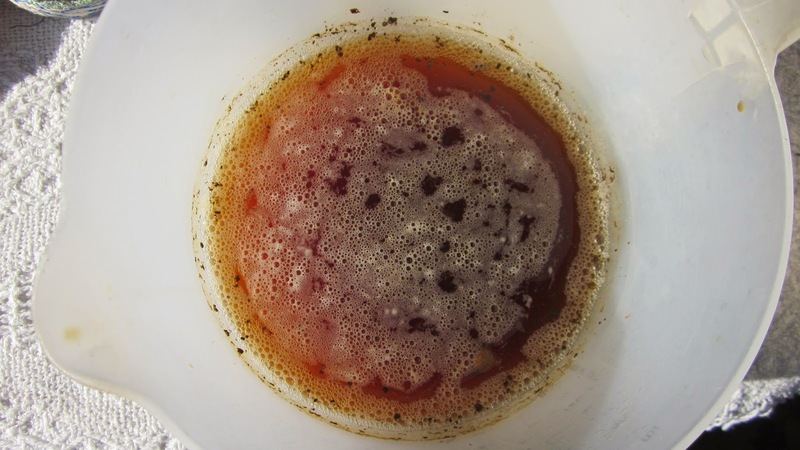 There is a very interesting article on Sahti here, and in it there is a link to a comparison of brewers and bakers yeasts. I am beginning to suspect that the distinction between brewer's and baker's yeast only came about with the industrialisation of brewing in the Georgian era. I am certain brewing came before the leavening of bread, if not even before the invention of bread itself. I have much more to say about yeast, microbes and infections but this post is already getting long, so there will be a part 2 to follow. Could the first farmers in the fertile crescent have been the first people to make malt? Who were the first maltsters? After I had completed my M. Phil in 1999, I used to go round archaeology conferences and meetings (as an independent researcher, not affiliated to any University or College) and I gave papers and presentations that aimed to promote some discussion of these questions among archaeologists and anthropologists. This is the first of a number of blogs based on these talks, presentations and papers from between 2000 and 2010. I'm presenting here a few thoughts based upon a simple question - what were those first farmers doing with grain that they were so keen to grow? Of course, grain can be ground into flour to make bread, or perhaps, in the neolithic, some kind of gruel or porridge was made. But there is something else that can be done with grain, which not everyone is familiar with. It can also be malted. Malting is the process of deliberate and careful partial germination transforms the properties of the grain. Within the grain, at the beginning of germination, enzymes are activated that can convert starches into sugars. Malted grain is friable, easier to crush and is very different to unmalted grain. It seems probable that grain, because of its' special qualities when malted, was a status crop rather than a staple crop in the neolithic. Every all-grain beer brewer knows the importance of malt. It's the fundamental ingredient. When malt is crushed a little, mixed with water and heated in a mash tun to the correct temperature, it becomes sweet. The brewer then separates the liquid from the grain by lautering and sparging, and collects the liquid run off which is known today as wort. This is boiled with herbs or hops, then fermented into ale or beer. The transition from fishing, hunting and gathering to a settled life of farming began around ten to twelve thousand years ago in the Near East and Levant. Wild grain grew abundantly, in natural fields, in the area now known as the Fertile Crescent (Harlan, 1967). Grain, lentils and chickpeas were gathered and processed by the nomadic population. As time went on, people began to plant and cultivate these crops deliberately. They processed them in different ways. Villages became established, such as Beidha, and plant domestication began as well as the domestication of goats. Hunter-gatherers became farmers. 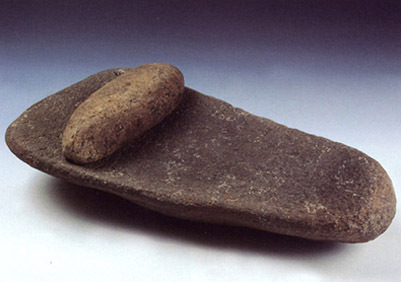 This was the neolithic revolution, or so it was named by Vere Gordon Childe in the 1930s. 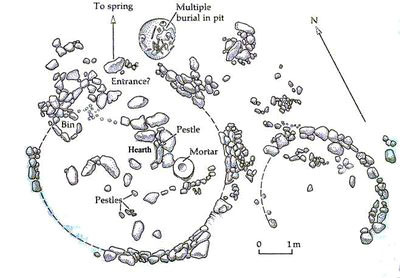 Archaeobotanical analysis of pollen, seeds, flora and fauna within the archaeological record seems to reveal that, ten to twelve thousand years ago, there were oak woods, pistachio trees and there was an abundance of wild life and game (Maisels 1993). Streams and rivers would have provided good fishing. It seems unlikely that the Natufian cultures of the epi-palaeolithic gathered wild grains to tide them over food shortages. They collected and processed them, and later domesticated them, because they wanted to make something. But what did they want to make? In 1953, Robert Braidwood from Oriental Institute of the University of Chicago initiated the ‘bread or beer’ debate, by organising a symposium "Did man once live by beer alone?". He was curious about the reason for the neolithic revolution, having been excavating at Jarmo, an early Neolithic village in the foothills of the Zagros Mountains of Iran, since the 1940s. He had organised a specialised multi disciplinary team with natural scientists, archaeobotanists, anthropologists and archaeologists (Braidwood et al, 1983). The excavation report Prehistoric Archaeology along the Zagros Flanks is a classic, if you like to read excavation reports, that is. Hans Helbaek considered that malting could perhaps have been the key to understanding early agriculture, even though he was aware that it was "a sore point in archaeological interpretation." It seems that it still is today. He discusses several aspects of malting on pages 517 & 518, for example, that a large vat may have been useful for part of the process. Germination may have been deliberate or accidental, he says, and context would be vital if germinated grain was to be found. Later on, he points out that germinated grain would have not survived in the ground. Carbonised grain might perhaps indicate a failed malting. It is clear from his argument that in the 1950s, there was some scientific understanding of the malting process. There were established techniques and processes that scientists had begun to understand. Paul Manglesdorf pointed out that barley is “virtually useless” for bread making. He found it difficult to believe that “the foundations of Western Civilisation were laid by an ill fed people living in a perpetual state of partial intoxication” (page 520). He did not recognise germinated grain among the samples that he analysed from Jarmo, concluding that the earliest cereals were not used for brewing or baking but that they were used as ‘popped’ or ‘parched’ grains. 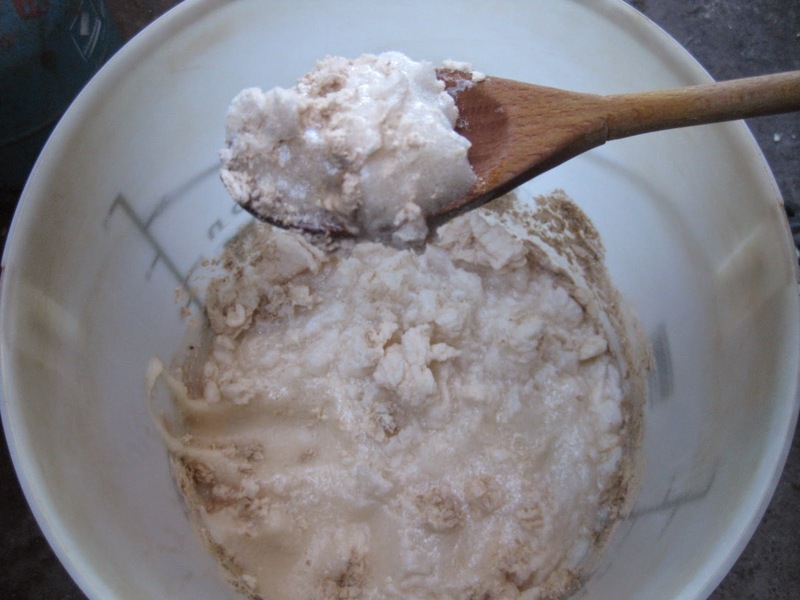 Linton noted the difficulty of making finely ground flour suitable for bread using a pestle and mortar or rubbing stones (page 524) and Oppenheim (page 525) suggested that gruel made from coarsely ground grits was the most likely product being made by the first farmers. There was no consensus of opinion. After this auspicious start, the question of ‘bread or beer’ rested, debate appears to have died down and there was little further discussion. Presumably, it remained a controversial idea. The debate was resurrected in the late 1980s. In 1986, Solomon Katz and Mary Voigt published a paper in Expedition, volume 25/2 "Bread and Beer: the early use of cereals in the human diet" in which they presented a new paradigm: the biocultural development of cuisine. Their hypothesis included the idea that epi-palaeolithic hunter-gatherers had discovered that slightly sprouted grain tasted sweeter. I'd agree with their hypothesis. It would not be too difficult to discover this. The debate is not just about beer or bread, flour, porridge or gruel. It is also about making malt, malt sugars, the wort. I wrote my thesis, "Barley Malt and Ale in the Neolithic" about this, but I am not the first person to suggest the idea of maltsters in the epi-palaeolithic. Without malt there would be no wort and no ale or beer. Grain processing was not necessarily a backbreaking, dreary chore of grinding the grain into a rough kind of flour to make unleavened bread. The processes of malting and mashing magically transform inedible grain starch into delicious, sweet malt sugars. It could even be considered the first alchemy. The biblical phrase ‘land of milk and honey’ might refer to domesticated animals and the milk that they produced, as well as the production of liquid sugars from cereals, what brewers today call wort. Malt and sweet barley mash are likely candidates for the things that the first farmers were interested in making. The accidental discovery of fermentation, whereby sugars are transformed into alcohol, followed closely behind. The spent grain that is left after sparging makes excellent animal fodder (Dineley, 2006). Spent grain is not alcoholic, it's just the slightly sweet barley husks and mash that is left after the malt sugars have been washed through. Maltsters have known, for millennia, what they need to do with harvested grain in order to make sugars. Malting is an ancient skill, based upon techniques that, even today, have an element of magic, ritual and mystery. 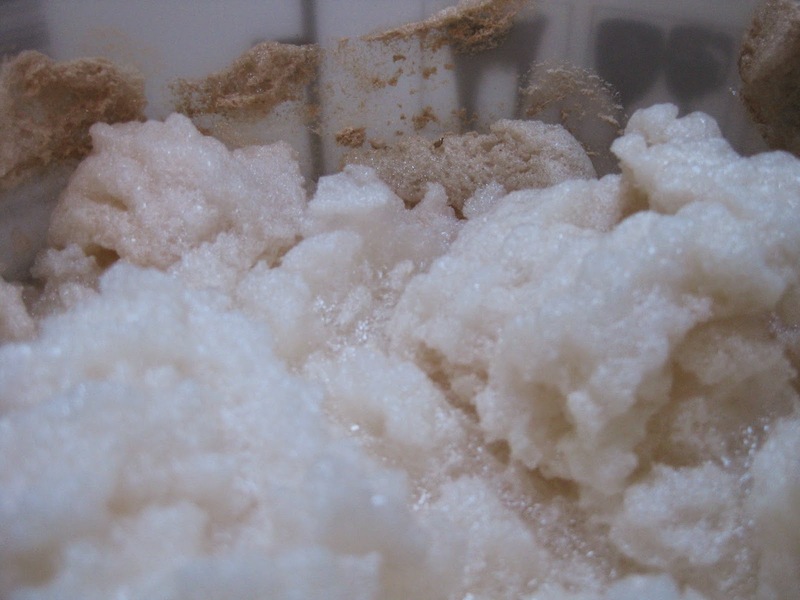 Making malt and malt sugars from the grain was one of the new technologies of the epi-palaeolithic. These grain processing techniques were discovered in the fertile crescent, these new skills crossed Europe, eventually arriving in the British Isles around five or six thousand years ago. What were the early neolithic farmers of the British Isles making with the grain that they grew? The transformation of grain into ale can be accurately described as both a ritual and a domestic activity and it seems to have been an important aspect of the neolithic cultural package. In the British Isles, harvested grain was being made into ale, an intoxicating beverage to be consumed, perhaps, at ceremonial sites. The making of the ale was as much of a ritual as its' consumption. I wrote an article, based on the paper, for Brewer and Distiller International about the archaeological evidence for floor malting. It was published in the February issue, 2016: Who were the first maltsters? Bellwood P. 2005 First Farmers: The Origins of Agricultural Societies. Blackwell. Binford L. 1968 Post Pleistocene Adaptations. In S. Binford and L. Binford (eds) New perspectives in Archaeology. Chicago. Braidwood R. (1953) Did Man once live by bread alone? American Anthropologist 55, 515-526. Dineley M & Dineley G 2000 Neolithic ale: Barley as a source of malt sugars for fermentation. In Fairbairn A (ed) Plants in Neolithic Britain and beyond. Neolithic Studies Group Seminar Papers 5, 137-155, Oxbow Books. Paper presented at the Spring Meeting of the Neolithic Studies Group, Royal Academy, London, March, 1998. Flannery K. 1974 The Origins of Agriculture. Annual Review of Anthropology, 2, 271-310. Harlan J. R. 1967 A Wild Wheat Harvest in Turkey. Archaeology 20, 197-201. Hayden B. 1990 Nimrods, Piscators, Pluckers and Planters: the emergence of food production. Journal of Anthropological Archaeology Vol 9, No 1, 31-69. Harris D. R. 1996 The Origins and Spread of Agriculture and Pastoralism in Eurasia Routledge. Maisels C. 1993 The Emergence of Civilisation. Routledge. Smith B. 1998 The Emergence of Agriculture Scientific American Library, New York. Zohary D. and Hopf M. 2001 Domestication of Plants in the Old World: the origin and spread of cultivated plants in West Asia, Europe and the Nile Valley. Clarendon Press, Oxford Science Publications. Sometimes, a single sentence in an excavation report can be the beginning of research that sparks your curiosity and makes you ask questions. For me, it was a few words and a brief, enigmatic description that I read in an excavation report several years ago, in the late 1990s, when I began my research into ancient grain processing techniques and the neolithic revolution. The site was Beidha, a small neolithic village in the Jordan Valley. Here, in the 7th Millennium BC, people began to settle down, grow grain and keep domestic animals - cows, pigs, sheep and goats. Although they were still hunting and gathering, they were beginning to process the crops they grew, which included cereals and lentils. The earliest agriculturalists. Today, when you search for the neolithic village of Beidha on the internet you will find lots of information about it. This is, to some extent, thanks to a project established in 2010, to protect and promote the site. Beidha is an ancient place, now open to the public. It is not far from Petra, in Jordan, and is part of the World Heritage Site. Definitely on my list of places to go. The village appeared to have burned down, nobody knows how or why. Diana Kirkbride excavated the site in the 1950s and 1960s as part of a larger project to investigate the early agriculturalists of the Ancient Near East, organised by Robert Braidwood of the Oriental Institute of Chicago. In her report, she described the remains and the contents of one of the rectangular mud brick buildings in the village of Beidha. As well as a lime plaster floor, facilities and equipment suitable for grain agriculture and processing were found, specifically, hoes, sickles and quern stones. There were also large stone bowls and the remains of baskets that appear to have been waterproofed. The baskets had been lined with either bitumen or lime plaster. This is an intriguing description. At the time that I was studying the Beidha excavation report, Graham and I had recently returned from Orkney where, at the Corrigall Farm Museum, we had our first lesson in the techniques and traditions of floor malting. The curator, Mr Harry Flett, had explained to us how the grain must be steeped in water, then turned out onto a smooth floor in a barn to begin germination. Malt is partially germinated grain. When growth is obvious, that is, when the root and shoot begin to show, the malt is carefully dried. Then it can be used for making wort and brewing ale. I had been reading excavation reports from neolithic sites in the British Isles and northern Europe, where floor surfaces of buildings are rarely preserved. The floors of the long houses and other buildings of the Linearbandkeramik Culture were destroyed by modern deep ploughing. In the British Isles, I had only come across one description of a deliberately made beaten earth floor in a neolithic building. This was in one of the rectangular timber buildings at Lough Gur, in Ireland, a site excavated in the early 1950s by Sean O'Riordain and published in the Proceedings of the Royal Irish Academy. It was great news to me that some floor surfaces of buildings from early neolithic cultures in the ancient Near East had been so well preserved. I began to read more excavation reports, to see what else had been discovered. Although I have yet to find another description of grain impressions in association with an early neolithic lime plaster floor from that part of the world, I did find plenty of detailed descriptions of floors made of beaten earth, stamped clay and lime plaster. Some of them were painted, and there was very little discussion of their function or purpose. The function of floors is a subject not often discussed in excavation reports. Floors are important. They are a crucial facility for making malt. And, as many people know, it's the malting that interests me most. When was it discovered? How? Who were the first maltsters? How has malting technology changed and developed over the millennia? What is the archaeological evidence for malt? What role did malting play in the development of grain agriculture and the neolithic revolution? The practice of grain cultivation, agriculture and grain processing as well as animal husbandry and the domestication of cattle, sheep, goats and pigs are defining features of the neolithic way of life. Archaeologists agree on this definition, although there is much disagreement among the academics about why people "became farmers". It is one of the biggest questions in academic archaeology - why did people begin to cultivate and process wild grains in the Ancient Near East and Levant? What were they making with the grain? These were some of the questions that Braidwood's team of archaeologists, anthropologists and archaeobotanists and had set out to answer in the 1950s. Was it bread or beer? The debate was reawakened in the 1980s by Solomon Katz and Mary Voigt, when they published their paper "Bread or Beer: the early use of cereals in the human diet". They suggested that making malt was an important part of the story. Hunting and gathering were, of course, still important ways of food acquisition. Wheat and barley grew as wild plants in this region. People began to gather and process them long before they started to cultivate them deliberately and settle down in villages to tend their crops and look after their sheep, goats, pigs and cattle. 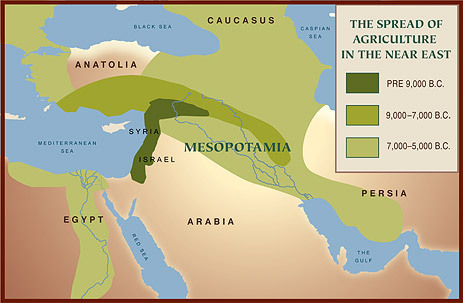 Grain cultivation and processing began in the Near East and Levant around ten to twelve thousand years ago. This new way of life spread across Europe and reached the British Isles around six thousand years ago. A common feature of many early neolithic sites in the Fertile Crescent are the deliberately made, smooth, level floors made of mud, clay or lime plaster. Mud or clay floors may have been relatively easy to make. The lime plaster floors, some of them apparently polished, would have involved a particularly complex technology in their manufacture, as well as considerable human effort and co-operation in their construction. The Natufians, these first agriculturalists of the Fertile Crescent, were using lime plaster for a wide range of uses - to make walls, floors, statues, as well as so called 'white ware' vessels, the precursor to pottery made from clay. The use of lime plaster in the early neolithic of the Fertile Crescent is a huge area for research and investigation. To make lime plaster, large quantities of chalk had to be collected, then burnt at 850 degrees Centigrade to make the quicklime. Water would have been added to make the slaked lime which can then be used to make the floor. They must be laid and levelled very quickly and would have been similar in appearance to a modern concrete floor. Polished lime plaster floors were found in a rectangular building at Gobekli Tepe, in the layers of this enigmatic settlement or temple dated to the seventh and eighth millennia BC, the era of the pre pottery neolithic. Gobekli Tepe was excavated by Professor Klaus Schmidt of the German Archaeological Institute over many seasons. The earliest levels have been dated to the epi-palaeolithic, around the tenth millennium BC. The team excavating this site interpreted it as having been a place of feasting and cult activity. Another interesting and large rectangular building of the seventh millennium BC was excavated at the early neolithic village of Yiftahel, lower Galilee. Inside one of the buildings there was a lime plaster floor measuring 110 square metres and 3-6 cm thick. It would have required some seven tons of lime plaster. At the time of excavation, it was the largest rectangular mud brick building of the period in the Levant. Details of the lime plaster, what it was and how it was made can be found here in a paper published in the Journal Palaeorient in 1991. At Ain Mallaha there are the remains of an early neolithic settlement. It is situated by Lake Huleh in the upper Jordan valley and was inhabited between 10,000 and 8200 BC. The floors within the buildings apparently gave the impression of having been deliberately made by accumulation and they appear to have been cleaned and repaired on a regular basis. Stamped mud floors, some surfaced with a smooth layer of clean clay, together with domed ovens and brick-lined roasting pits were features discovered during excavations at Ali Kosh, a neolithic settlement dated to c7200 BC and located on the southern plains of Khuzistan. At Tell Ramad, a neolithic village in Syria, c7000–6000 BC, the remains of lime kilns were excavated and some of the floors were made of lime plaster. Again, lime plaster was being made on an almost industrial scale. During excavations, it was noted that some of the floors had upturned edges. What purpose was this innovation for? We may never know, but perhaps this refinement had the function of containing the malt. It would work to keep the germinating grain on the specially made lime plaster floor surface. Floors of compacted clay were found in the buildings of the earliest and lowest occupation levels at Mureybit a settlement dated to between c8500 and c6900 BC and located beside the Euphrates river in northern Syria. Excavations also revealed a variety of grain agriculture and processing equipment including sickles, pestles, mortars, quern stones, fire pits and hearths. A floor at the site of Ain Ghazal, an early neolithic settlement near Amman in Jordan, showed evidence of at least five different layers. It had been repeatedly repaired and well maintained. Re plastering and regular maintenance of these lime plaster floors was undertaken at a number of these early neolithic sites. This is a feature of more recent malting floors. It is desirable to have a smooth and level surface for the efficient raking and turning of the grain as it germinates. Access to a reliable water source is another necessity for the malting and mashing of grain and at all of these sites that I have mentioned, there were nearby springs, streams or rivers. Robert Braidwood of the Oriental Institute of Chicago initiated the "Bread or Beer" debate in 1953. Anthropologists and archaeologists discussed the roles of bread and beer in the Origin of Grain Agriculture debate. Only Hans Helbaek considered the role of malt, without which there would be no fermentable sugars and no beer. The archaeological evidence, some of which is outlined above, indicates that it was neither bread nor beer, rather it seems that those first agriculturalists may have been making malt. I have a peer reviewed paper "The Craft of the Maltster" which is hopefully, due to be published soon. It was presented to the Food in Archaeology Conference in April 2010 at Exeter University. The book of the conference is, I am assured, on its' way into print. I have been given permission by the publishers to put the paper on my academia page. It can be downloaded here.